Around three years ago it was difficult to find a nice coffee place (not to be confused with a coffee shop) for a flavorful authentic cup of coffee in Amsterdam. Today the number of choices are simply stated: overwhelming. The stereotype of not-so-good Dutch coffee is broken every time a new hip specialty coffee spot opens in the city. If you have been living in Amsterdam for a while, probably you already have your local coffee favorite in the neighborhood (hopefully not Starbucks), but let’s take a fresh look at outstanding alternative options that might surprise you. Where does your cup of coffee come from? You can answer this question easily when you get your consistently fresh roasted coffee at Two for Joy, as these coffee roasters care about the farmers on the other side of the world and they create unique blends themselves. Add contemporary vibe and art on the walls (which can be purchased at a fair price), and you get an inspiring coffee place with friendly and knowledgeable baristas. 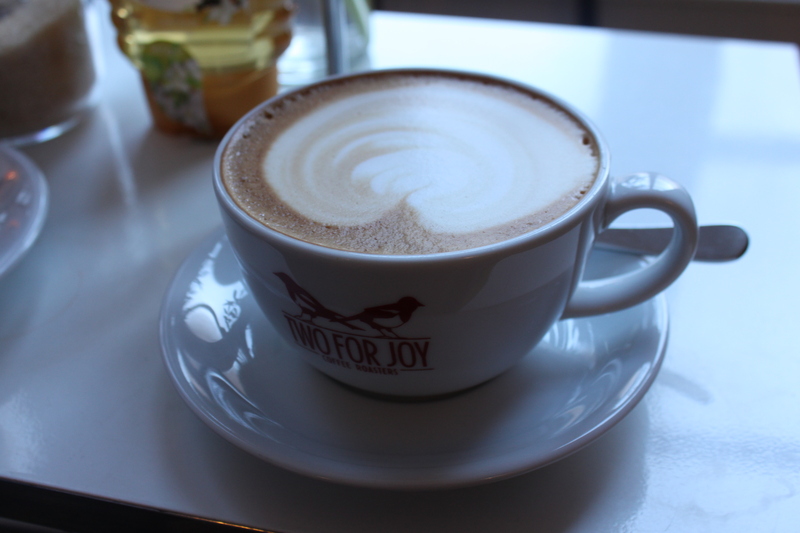 You can buy nicely roasted coffee beans at Two for Joy too and they will advise you the best way to prepare coffee at home. Make sure to try the mouthwatering chocolate chip rosemary cake with coffee brewed in an Aero press. If you like loft style coffee bars, then the huge space of the magnificent former cinema and funky atmosphere of the cozy hotspot called CT Coffee & Coconuts will make your soul happy. Three floors of comfy seats (including lazy bags), table of all heights, lights of all intensity, plants and art combined with delightful coffee prepared by professionals, yummy desserts and even fine foods make hours pass quickly at Coffee & Coconuts. It can be a great spot for working on your computer, hanging out with friends or meeting your date on the more intimate last floor. Hip and alternative as it can be, Scandinavian Embassy serves gourmet coffee and delicious Nordic food prepared by a Swedish chef using sustainable ingredients. Please don’t leave without ordering a beautiful carafe full of steaming filter coffee or trying their foamy cappuccino accompanied by a freshly baked carrot cake. More than just a coffee bar, Scandinavian Embassy offers some artsy fashion and design goods with a Nordic twist. Do you like the smell of roasting coffee beans and freshly baked pastry? 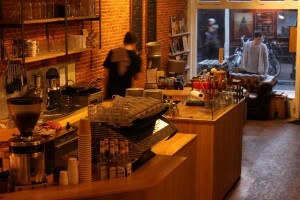 Then Koffie Academie is waiting for you, as well as its very friendly and easy-going owner. Surprisingly they manage to brew their own beer too. 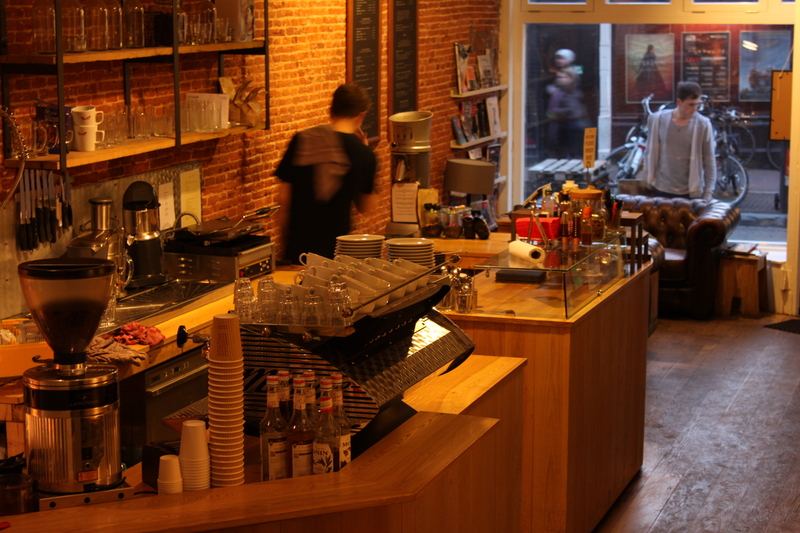 And Koffie Academie offers coffee workshops regularly, so if you want to learn more about coffee and get hands on experience in latte art, then why not there? True coffee addicts will find themselves at home at the industrial area of Westergasfabriek and particularly Espressofabriek. 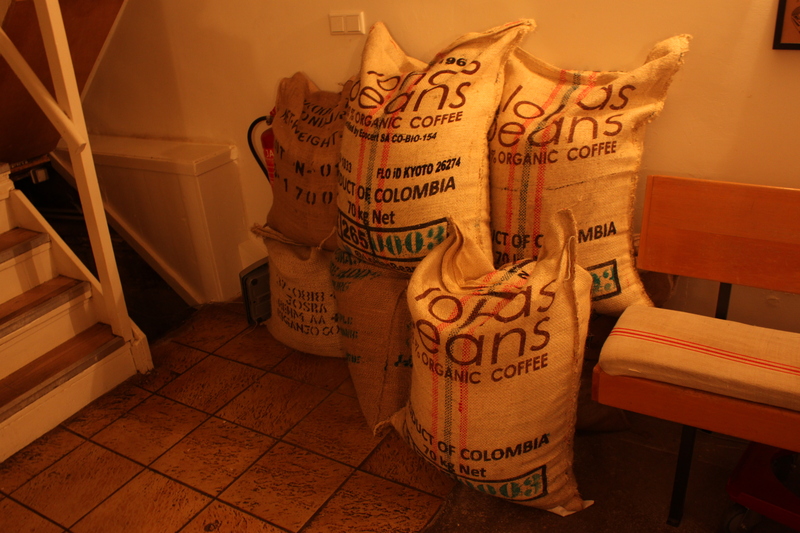 This company was one of the first coffee roasters in Amsterdam, and today they do it for many coffee places in Amsterdam. They roast, grind and brew specially for you in a laid-back ambiance under extremely high ceilings and with a great attention to details. Espressofabriek’s famous banana bread is a must try. In case you are really enthusiastic about coffee, care about the alternative brewing methods, then this upcoming Amsterdam event at Westergasfabriek from 18 to 20 of March will be of great interest for you: http://www.amsterdamcoffeefestival.com/ The Amsterdam Coffee Festival will not only ensure a good caffeine level of the highest quality in your blood paired with delicious food, but also entertain you with remarkable barista competitions, teach you something new at the Lab full of workshops, talks and demonstrations, impress you with the Coffee Art Project and just let you discover a new coffee world.